After two years of working for the Mote Marine Laboratory, one the of most frequent questions I would be asked from interested tourists that stopped by the lab was "What exactly is a coral?" Corals can be a little confusing, but I'm going to break it down real simple, so if this is your first introduction to coral, not really sure what a coral is, or just need a refresher, you're in the right place! Corals are ANIMALS! But if we dig a little deeper they're kind of like animal, rock, and plant all together in one. Corals don't have the ability to create their own food as plants do, which by definition makes them an animal. The rock part comes from that most corals build a dense calcium carbonate skeleton. Over time, these thin layers of calcium carbonate build on top of each other, which creates the structure of a coral reef. The plant part of corals is a little more complicated. 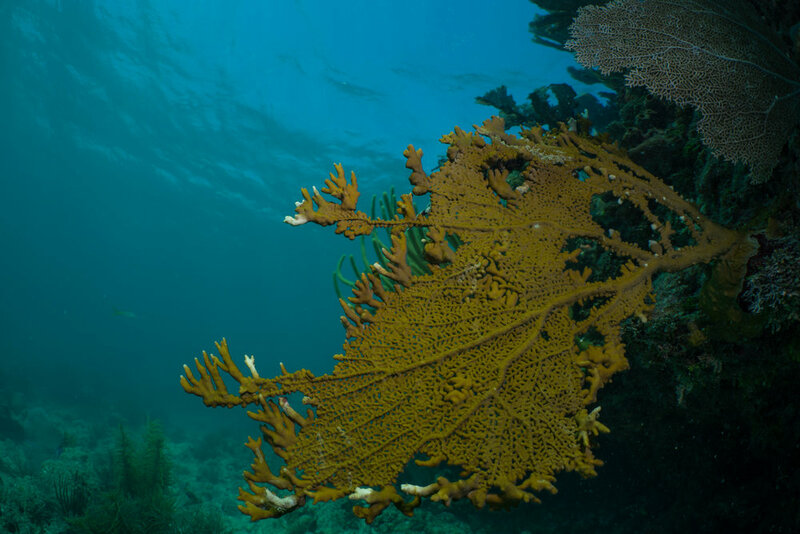 Within their tissue, corals harbor single-celled algae known as zooxanthellae. This algae photosynthesis like any other terrestrial plant, creating nutrients that the coral is able to utilize for its own sustenance. Most corals gain anywhere from 80-90% of their nutrition from this essential algae, and only a small percentage of their nutrition from feeding heterotrophically. This process is one the reasons coral reefs are found in shallow clear water, where lots of light is able to penetrate for the zooxanthellae to photosynthesize. To examine the body plan of a coral, things get even weirder. Corals are covered with many little mouths surrounded by tentacles armed with stinging cells. Each of these structures is called a polyp. A single coral may have anywhere from one to many thousands of polyps. 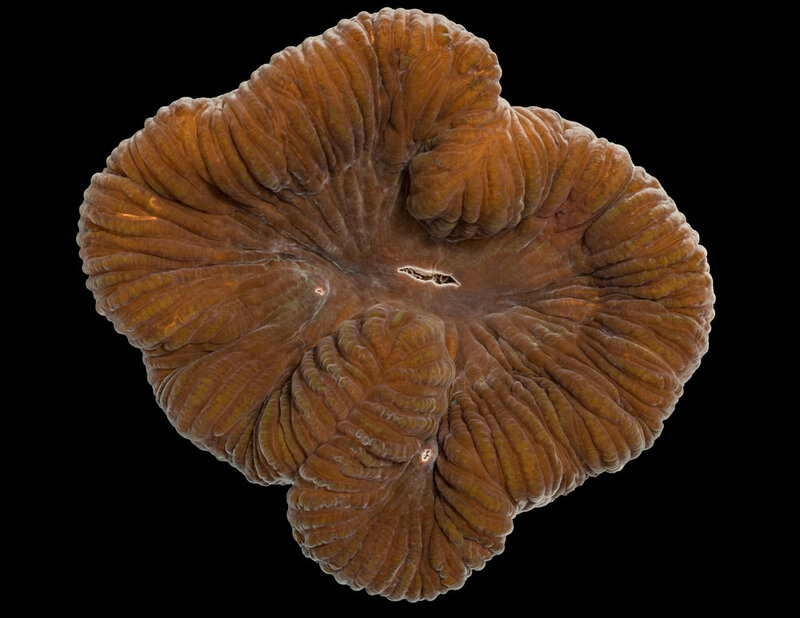 Each polyp is an individual organism, but it's an exact clone to every other polyp on the coral, making corals a colonial organism. Think of it as having many clones of yourself all attached together at the hip. As a coral grows, new polyps begin to form as new calcium carbonate skeleton is laid down, sometimes creating colonies as large as a truck. A coral to a coral reef is a tree to a forest, except on a reef, the trees are animals. While a coral reef defines an entire ecosystem, it's the coral itself that is the primary unit which this ecosystem is built from. Coral reefs have been around for millions of years yet they only make up about 1% of the world's oceans sea floor. 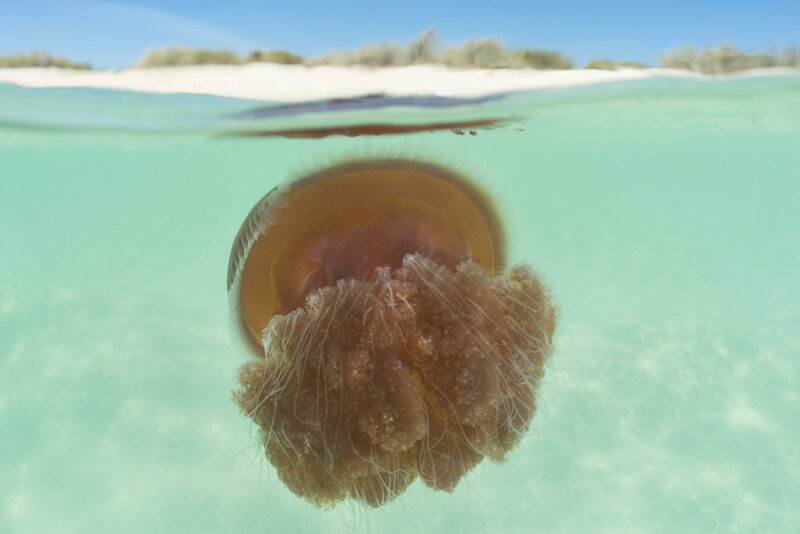 However, this 1% comprises over 25% of all the known marine life to exist. 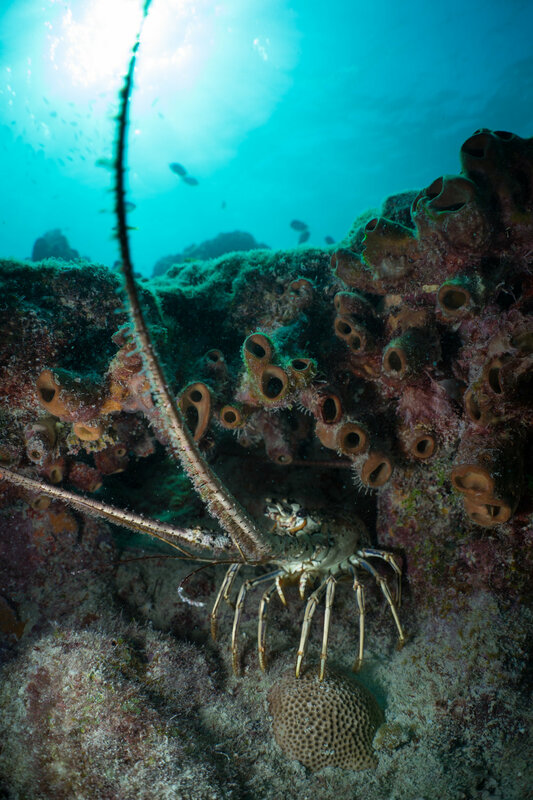 Fish, sponges, mollusks, crustaceans, echinoderms, sharks, and turtles are just a few of the groups of animals which depend on healthy coral reefs to survive. For many of these organisms, the coral itself is their home. Similar to how most birds need a tree to nest in, many species of fish will use corals as a home or a place to deposit their eggs. 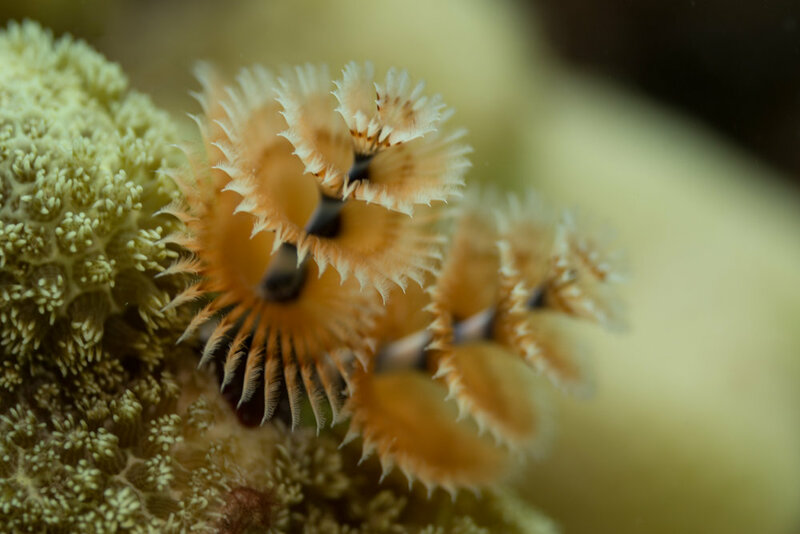 Christmas tree worms as their common name describes resembles a Christmas tree more than it does a terrestrial worm, are commonly found burrowed directly into a coral skeleton between the polyps. 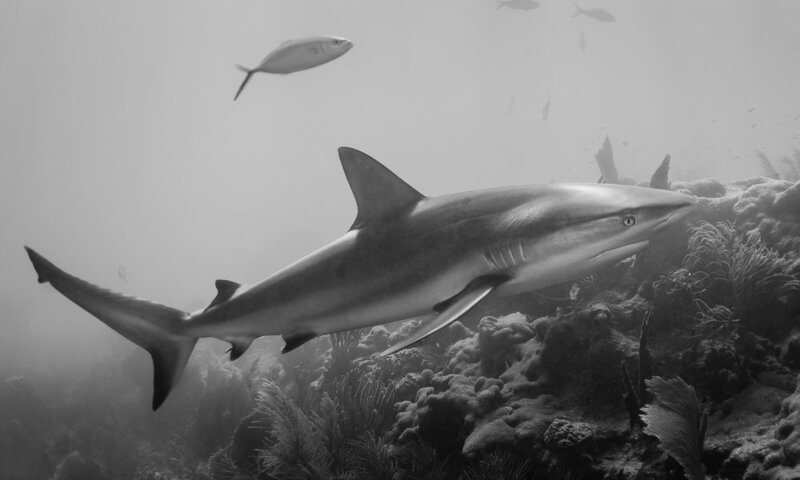 There are countless examples of the interconnectedness between various species on a coral reef. 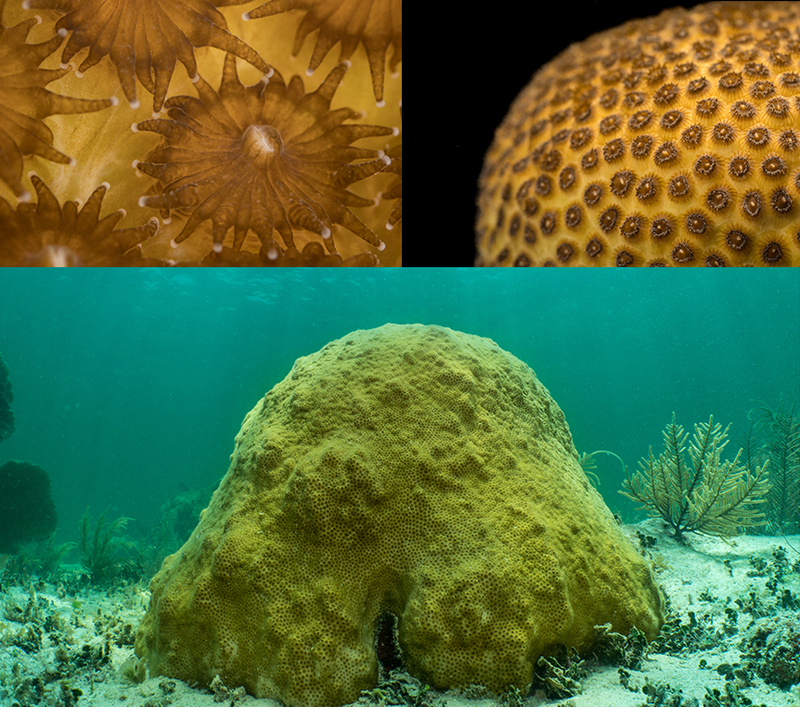 We've gone over what a coral is and how it fits into the complex web of a coral reef. But what exactly do corals do all day? Corals face the same challenges pretty much every other organism has. Corals compete for prime real estate on the reef, and will even go to battle with each other if necessary. While some of these battles can be just a big shoving match of two corals growing into each other, others can be quite aggressive. Corals don't have arms or hands so how do they attack another sessile organism that's within its vicinity? 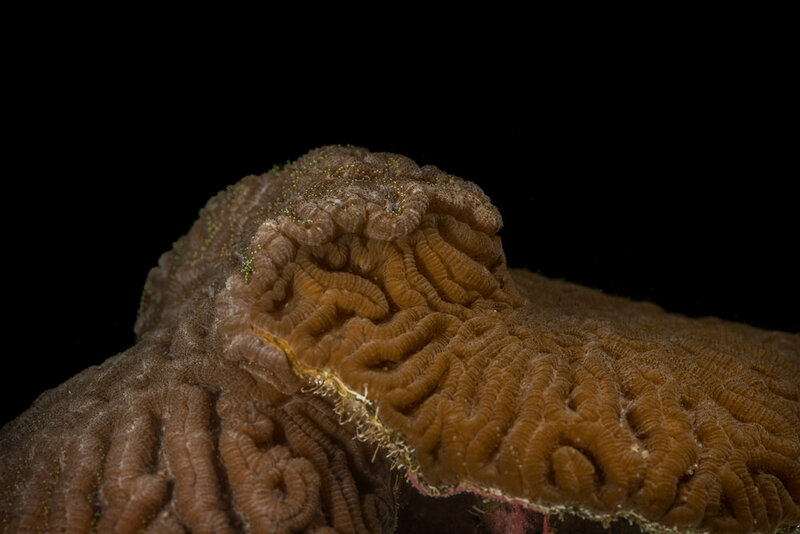 Corals have the ability to expel their gut mesenteries out of their mouths and place them on a neighboring coral, which digests it's neighbors tissue leaving nothing behind but the skeleton. This would be similar to sitting down to dinner with your family, and rather than using your forks and knives, you simply remove your stomach, place it on the plate of food, and consume your meal. Corals also have many predators. Parrotfish have a large and strong beak that is capable of removing chunks of coral tissue and skeleton. In fact, some of the fine sand you walk on at the beach is made up of parrotfish poop after pieces of coral skeleton pass through their digestive tract. When a predator attacks, corals don't have the ability to move to a new location but they can still respond to a stimulus. 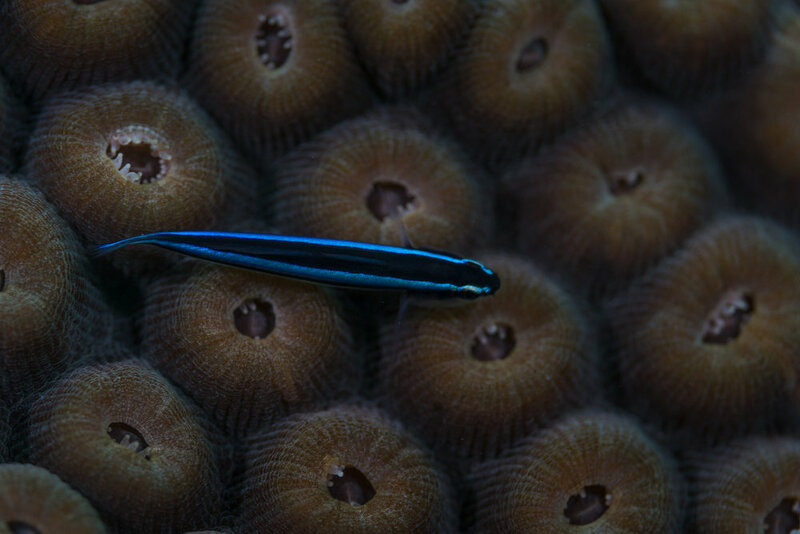 If the coral has it's polyps fully extended and a predator makes an attempt, a coral can purse up it's polyps, protecting the vital parts of the polyp. This also makes the coral less conspicuous, especially if it's a small colony where one large chunk removed could cause its demise. Many corals will remain pursed up all day, only to extend their polyps at night to feed on planktonic organisms that are more plentiful after the sun goes does. 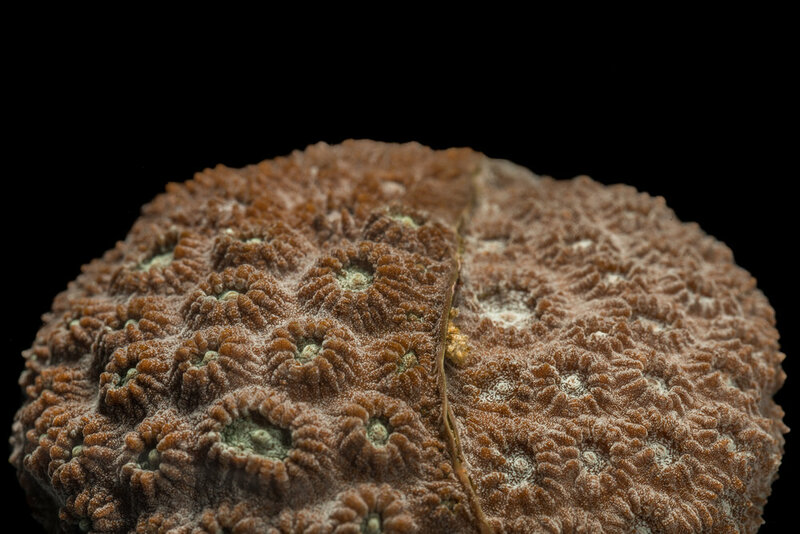 When corals are disturbed, they have the ability to retract their polyps into what's called a corallite, which can be described as a cup like structure that houses the polyp. Corals can be slow to to fully extend their polyps after such a disturbance. 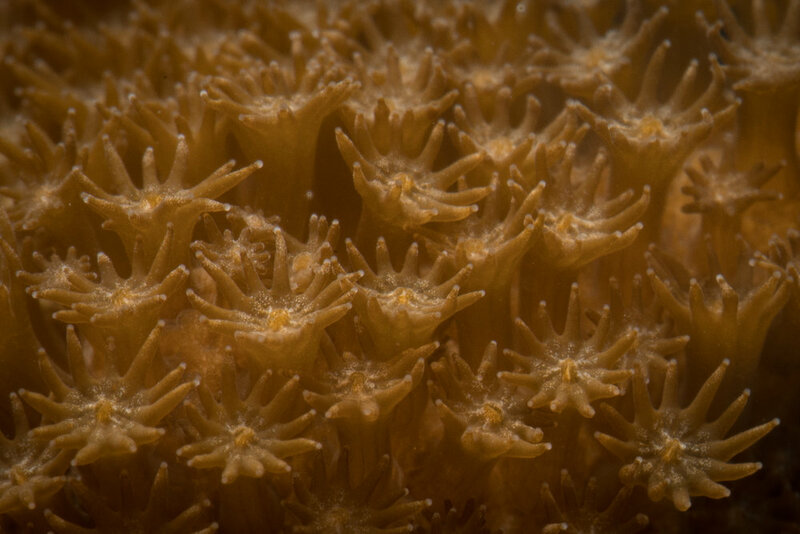 Here shows a Great Star Coral fragment extending it's polyps over the course of 20 minutes. Coral reefs around the world are facing an uncertain future with a growing number of stressors that are only becoming worse. The number one stressor is warming sea surface temperatures. There is a strong correlation with increased sea surface temperatures and a phenomenon known as coral bleaching. Coral bleaching is the process by which corals expel their symbiotic algae during periods of high stress. 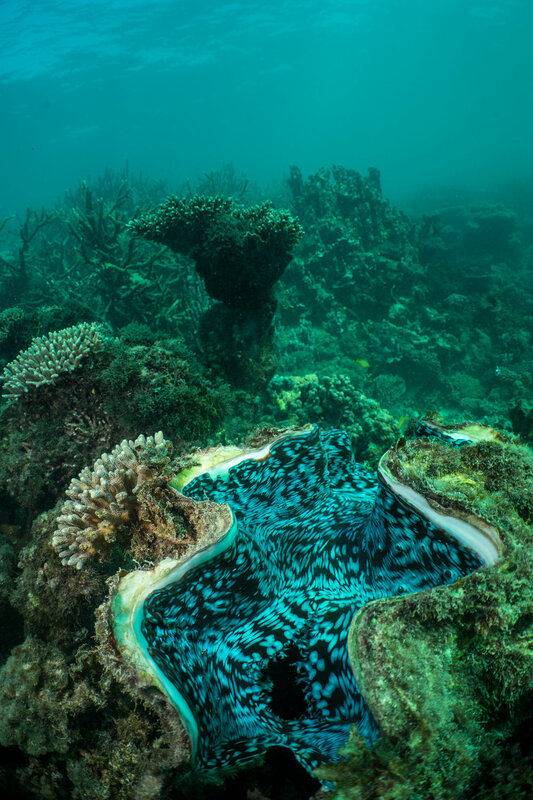 The symbiotic algae begins producing compounds that can become harmful to the coral, so the coral breaks their relationship but now runs the risk of starving to death since the majority of their nutrition comes from this symbiotic relationship. If the environmental conditions become favorable again before the coral starves, the symbiotic algae can return and the coral could survive. Bleaching events are most commonly seen during the warm summer months of the year. 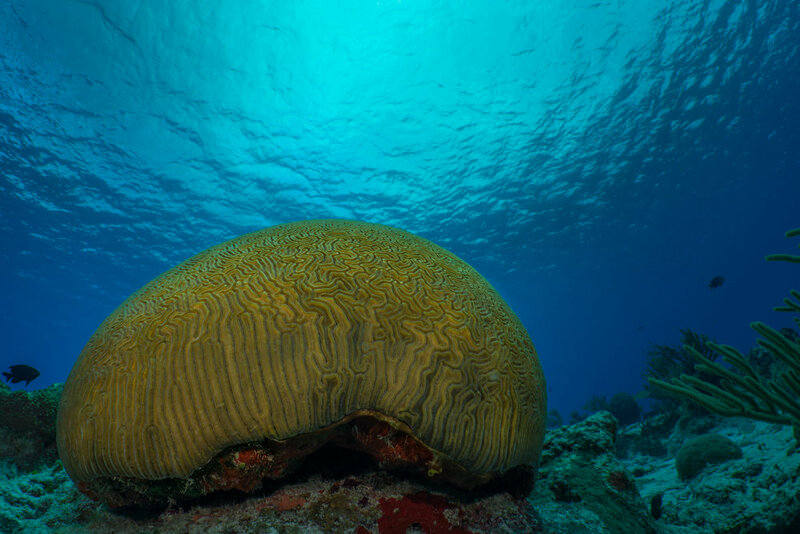 When a coral is going through a bleaching episode, the coral is in a weakened state where it may become more susceptible to other factors such as disease. 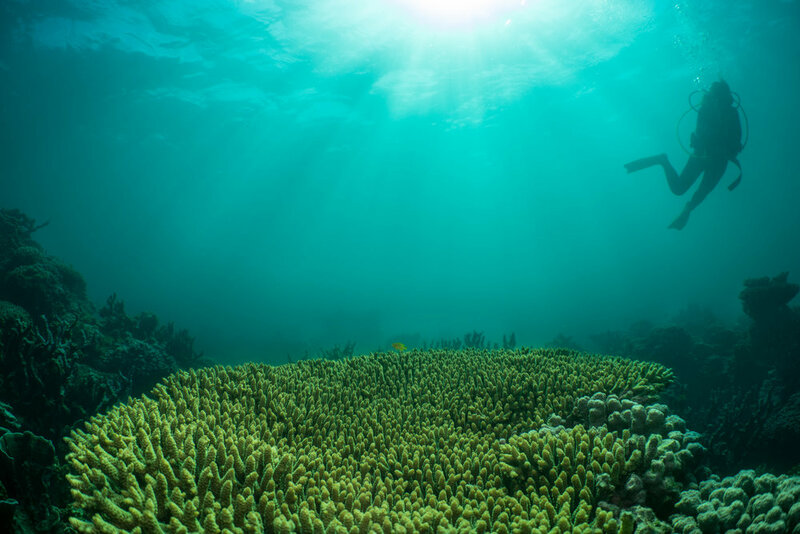 Coral disease is becoming an increasing threat in many parts of the world and for some species, disease has shown to be more of an influence on population declines than bleaching. 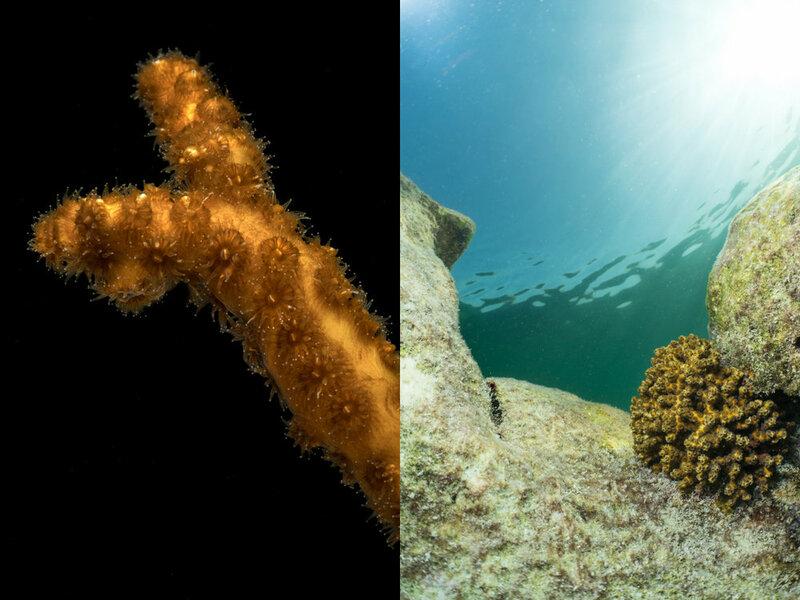 Many of these are bacterial diseases where a visible band moves through the coral tissue, causing it to flake off, sometimes at alarming rates. 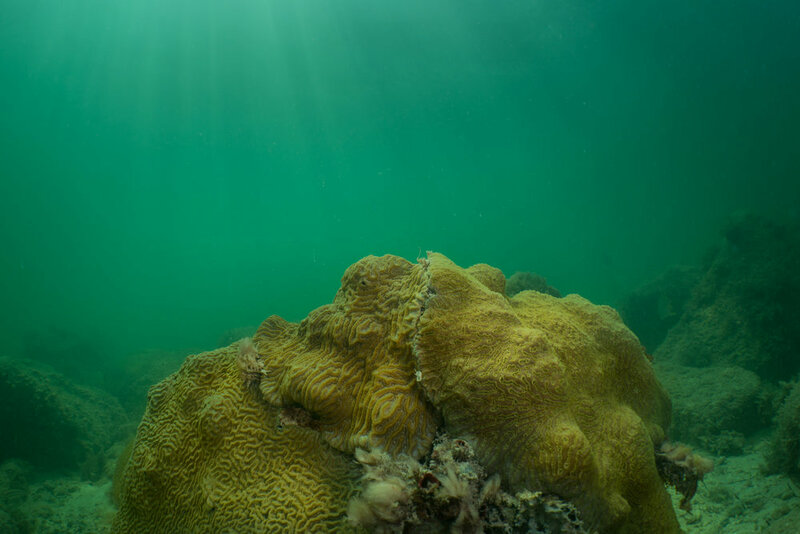 There is still much to learn about coral disease, but there is a strong correlation with increased disease during summer when bleaching events occur. Some organisms that feed on corals can be cause disease to spread from one colony to the next. Other threats to coral reefs include ocean acidification, increased nutrient runoff, overfishing, and coastal development to name a few. Ocean acidification is the process by which excess carbon dioxide in the atmosphere dissolves into the ocean resulting in more acidic/lower pH water. This presents problems for organisms like corals and mollusks that build their skeletons and shells out of calcium carbonate. 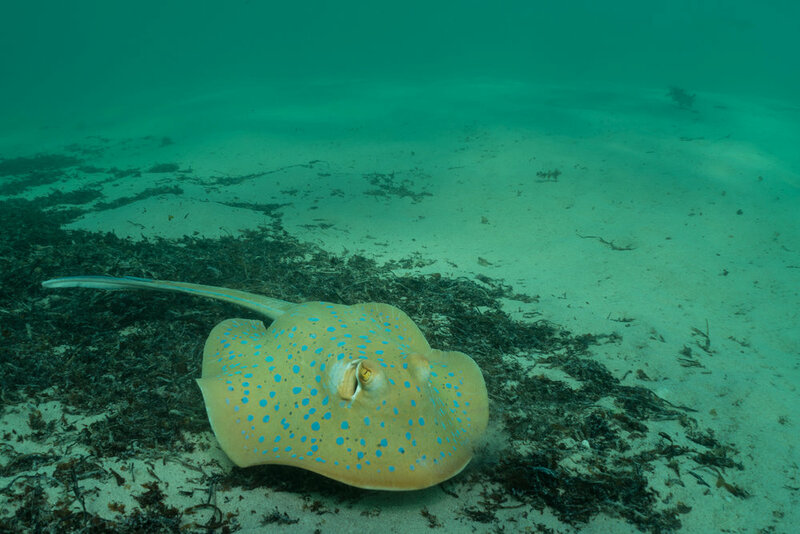 If there are less calcium and carbonate ions in seawater, it will be extremely difficult for these organisms to grow and survive. Larval stages of these organisms exhibit the highest risk of mortality. 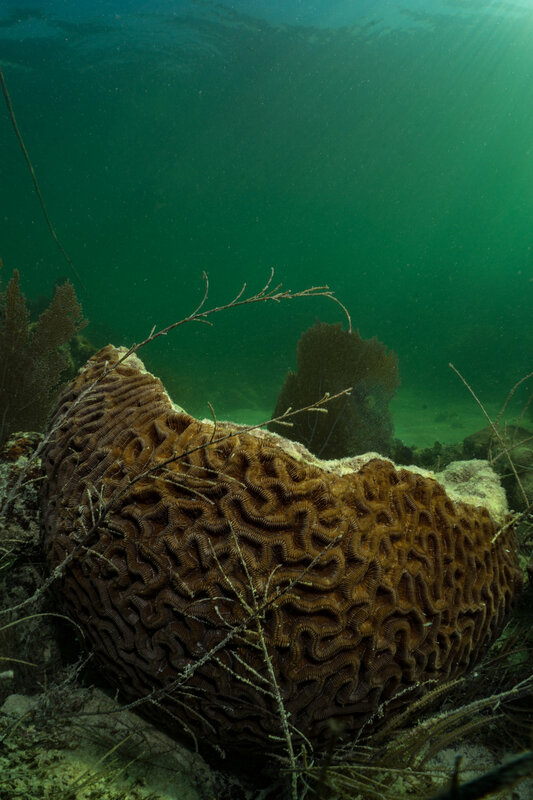 Increased nutrient runoff can lead to large algae blooms, which can smother corals. Accompany this with overfishing and removing the grazers from the reef, algae blooms can destroy large expanses of reef, and can be extremely difficult to reverse. Why should you care about coral reefs? Coral reefs are one of the most beautiful living structures on the planet. If you've ever dove or snorkeled on a reef, it's likely an experience you won't soon forget. Most divers equate it to going to an alien planet where you leave everything you know about the terrestrial world behind. Besides adding enjoyment to our lives, coral reefs have many practical benefits for humans all over the world. These are our natural buffers from storms. As barrier reefs rise to the surface of the sea, this acts as a massive wall, which dissipates wave energy heading to shore. Without reefs in tropical regions, coastal damage during hurricanes would be far greater. Many small island communities in tropical regions that are more commonly hit by storms rely on healthy reefs for fishing. Fish is the highest source of protein consumed in the world, and without healthy reefs, we will loose a large portion of this valuable resource. Fishing not only provides a source of protein but also a boost to local economies. Places like the Florida Keys gain massive amounts in revenue every year from people who visit the islands to fish. Scuba diving and ecotourism are also large drivers that play a large role in where people spend money on for traveling. Many countries are now realizing species like manta rays and whale sharks are worth more to their economy alive than dead due to all the people that wish to swim with them. Preserving biodiversity has many beneficial outcomes that we have yet to even discover. Much of modern medicine comes from synthesizing compounds found in nature. If we are to loose coral reefs, could we also be loosing that secret to help treats some of the most impactful ailments known to man?